This boxing handbook provides up-to-date, in-depth coaching for serious contenders. 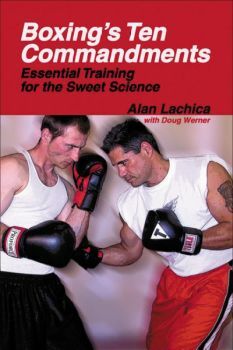 Weaving fundamental skills into a progression of drills that hone technique in increasingly complex, demanding, and realistic fighting situations, the handbook aids fighters in developing the reflexes of a complete boxer and teaches the move from a process-and-react mentality to one of seeing-and-reacting. Hundreds of sequential images illustrate vital steps in the progression from proper stance, effective footwork, and range to defense and counters, the importance of angles, and creating winning strategies.